Today’s guest post was provided by Jake Hansen with the Iowa Department of Agriculture and Land Stewardship (IDALS). Hansen serves as the Water Resources Bureau Chief in IDALS’ Division of Soil Conservation and Water Quality, as well as chair of the Iowa Learning Farms Steering Committee. Back in 2004, we had no idea what a success Iowa Learning Farms would be and that it would last 13 years! Started as a partnership of the key conservation stakeholders in Iowa, Iowa Learning Farms was our way of responding to the Integrated Farm and Livestock Management (IFLM) legislation based in 2000. The Iowa Legislature initiated the IFLM program to showcase the adaptability and effectiveness of conservation systems with farming operations. New and emerging technologies are demonstrated on private farmland to refine management input to reduce erosion and soil loss, enhance soil quality, increase infiltration, reduce runoff and lessen nutrient and sediment loading to Iowa’s water bodies. 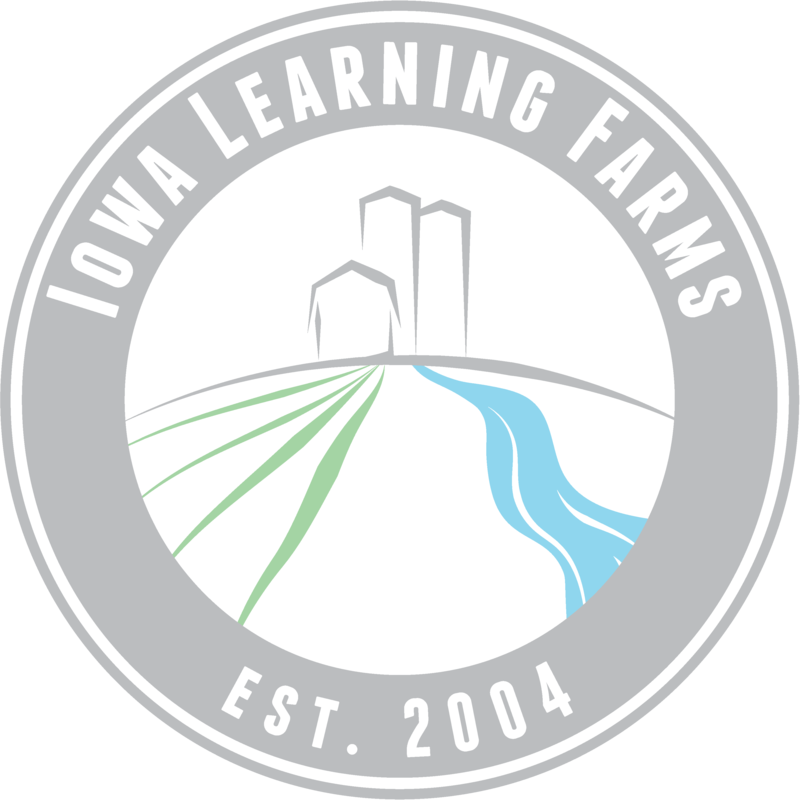 Since its inception, Iowa Learning Farms has been a key partner and participant in the IFLM program, utilizing more than $3.1 million over 12 years to improve farmer outreach and landowner engagement using a broad array of programs and tools. We successfully leveraged those funds with dollars from our partners at Iowa Department of Natural Resources and the USDA Natural Resources Conservation Service. During that time, ILF has evolved from hosting and programing field days to providing conservation information and education at fairs, libraries, and schools, and partnering throughout our great state with local farmers, agencies, conservation groups, the agribusiness sector, the research community, and the public. In addition to field demonstrations, ILF has made thousands of visits to groups all over the state with their Conservation Stations and reached out to even more of an audience through webinars, podcasts, and trade publications. As we begin our 13th year in partnership with Iowa Learning Farms, the Iowa Department of Agriculture and Land Stewardship continues to embrace the value provided to our producers, watershed coordinators, state, federal, and private sector partners, and all of Iowa’s citizens in promoting conservation awareness and strengthening Iowans’ commitment to the preservation of our natural resources to sustain our quality of life. ILF’s relentless, comprehensive, grassroots approach to outreach and education is critical to support continuing change for improved water and soil quality in improved tillage, cover crop, and residue management field demonstrations. At IDALS we are extremely grateful for the role ILF plays in supporting our vision for soil conservation and water quality, and we look forward to a continued partnership in 2017 and beyond! ILF Steering Committee consists of members from IDALS Division of Soil Conservation and Water Quality, Iowa Department of Natural Resources, Natural Resources Conservation Service, Iowa Farm Bureau Federation, Conservation Districts of Iowa, State Soil Committee and Iowa State University Extension and Outreach.